The Road Fund Licence (later renamed as Vehicle Excise Duty) was introduced in 1920 with the Finance Act. 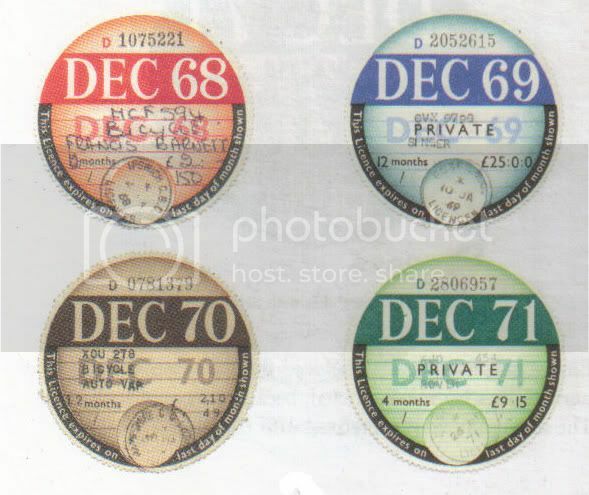 The issuing and displaying a tax disc became a legal requirement and from the 1 January 1921 motorists were obliged to display a tax disc on the vehicle. 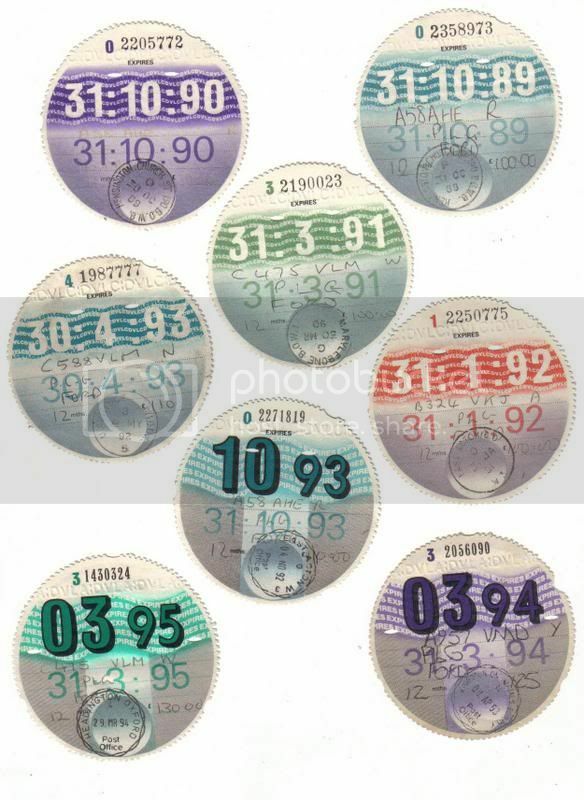 Motorists were given two options, a quarterly or annual tax disc. The original quarterly discs expired on the same dates, 24 march, 30 June, 30 September and 22 December. The size of the tax disc dictated in the 1920 Regulations is virtually the same size the tax disc is today. 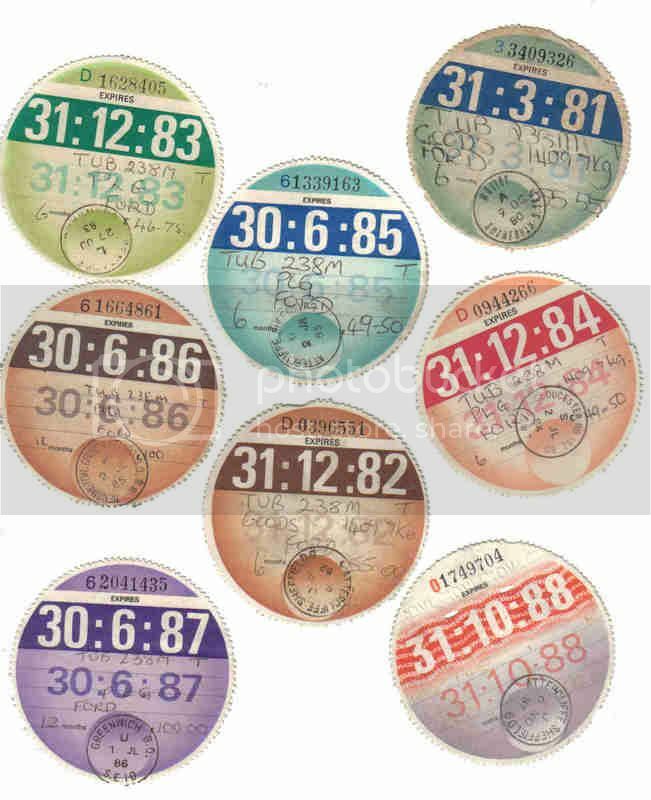 1960 was the last year the quarterly tax disc was issued, from then on the minimum period of road tax went from 3 months to 4 months. In the early 1970s emergency discs were introduced, for when the supply of normal discs became restricted, largely due to postal strikes, these were issued until 1976. In 1974 the DVLC (Driver and Vehicle Licensing Centre) opened in Swansea and vehicle and driver records were computerised. In October 1977 the expiry date on the disc became digitised, though the old and new style were both issued in that year. By 1978 the computerisation of driver and vehicle records was virtually complete. 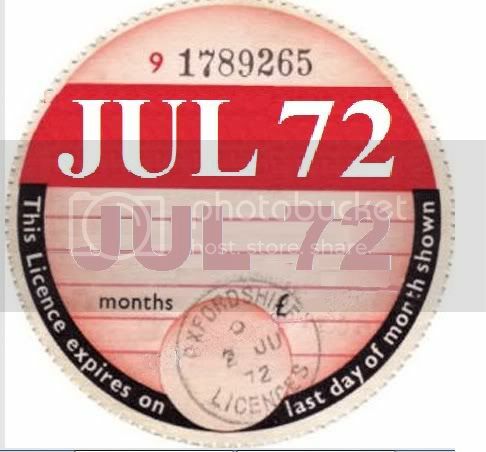 In 1981 the 4 month tax disc was withdrawn, and the two options were then 6 months and 12 months. Nearly all vehicles in the UK are required to have a tax disc on display. In most cases, the payment of an annual vehicle excise duty (also known as road tax, car tax or road fund licence) is required to obtain the tax disc, although for some classes of vehicle there is no fee. The Tax Disc must be prominently displayed on the vehicle, usually on the passenger side of the windscreen.